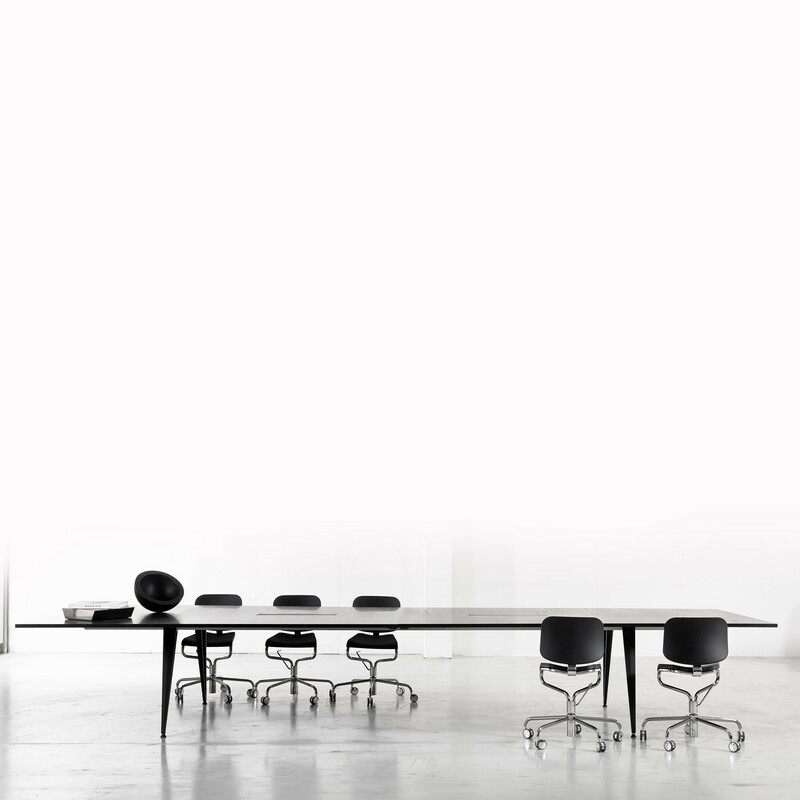 Attach Table System designed by Troels Grum-Schwensen introduces the office to an almost limitless possibility in terms of various sized tables, shapes and design. 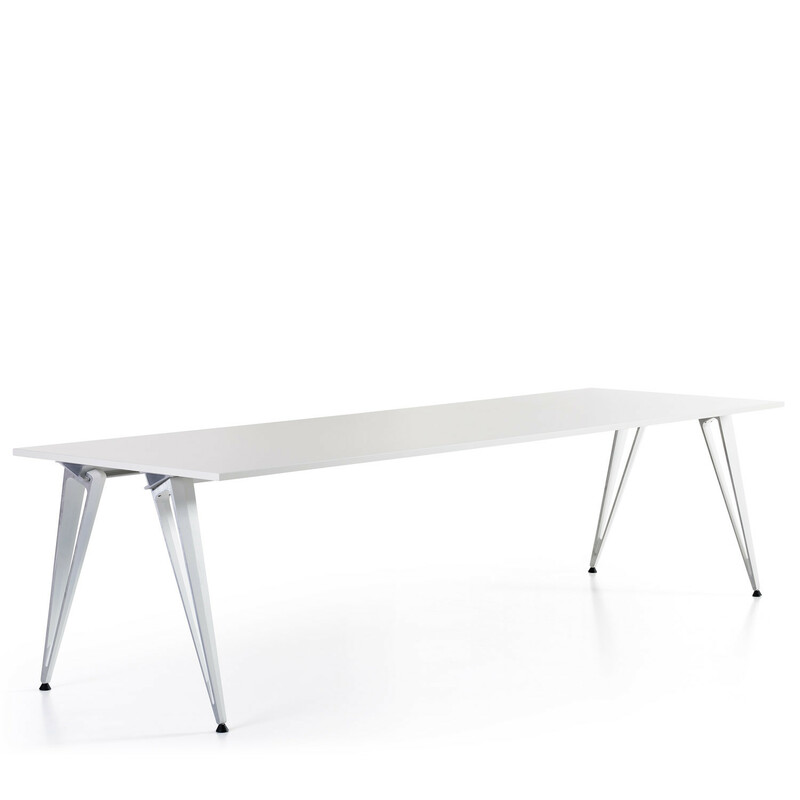 Attach tables can be used both in the open plan office as a continuous workstation or as a meeting table solution. 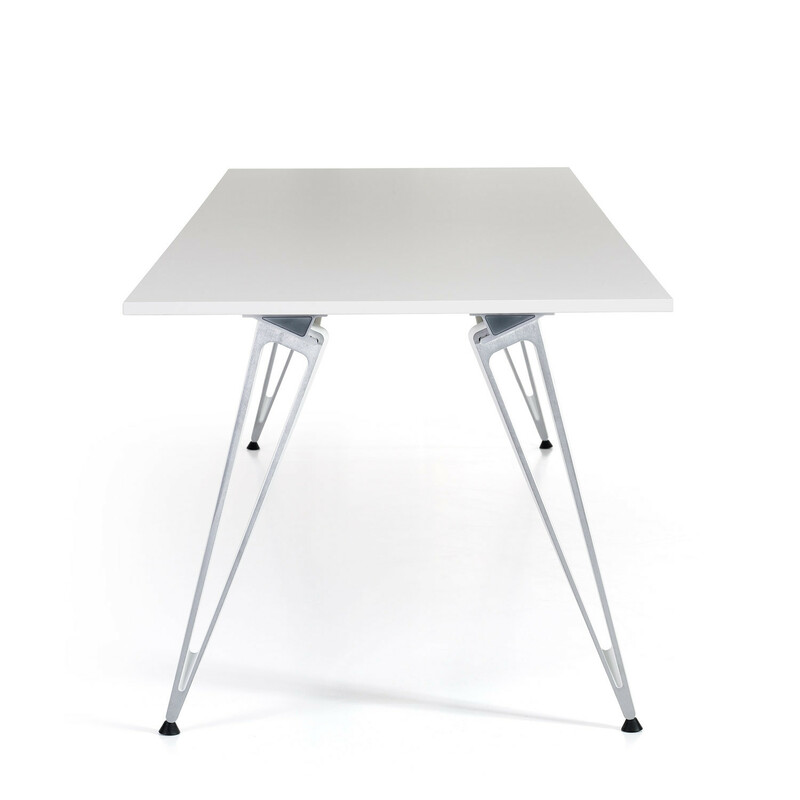 The Attach table system brings the simplified principles of basic physics to the function of table construction. Extruded anodized recycled aluminium beams and structural recycled aluminium legs are linked under the table and secured by gravity. Technology marries art in the construction of this impressive table series. 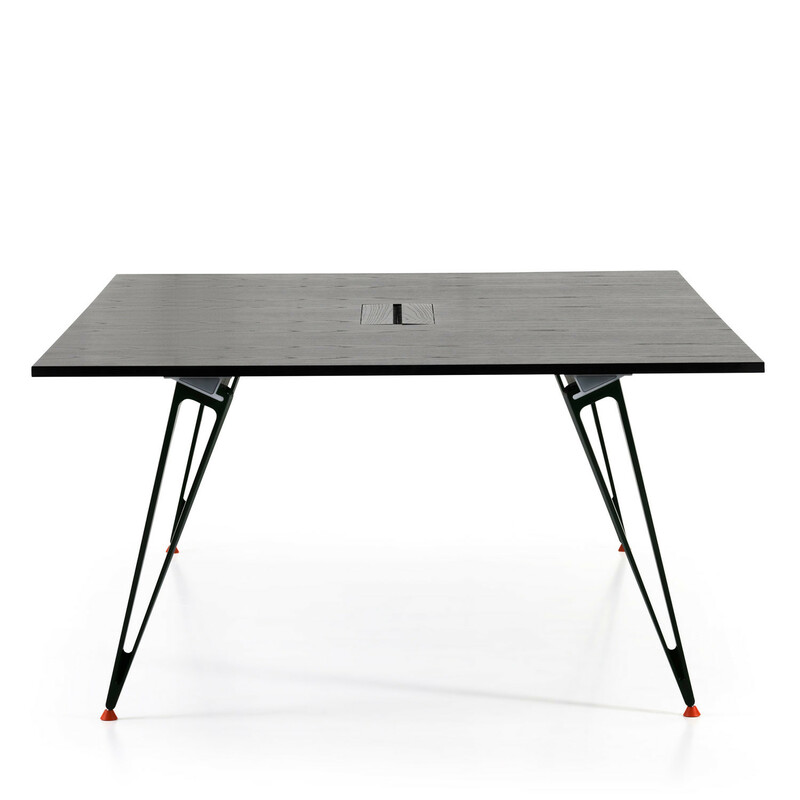 Using just a few simple basic elements, combined with a wide selection of table top materials and a choice of colours for the legs, Attach is offering a unique table solution that can be freely adapted to specific rooms and environments be it an office or breakout space. 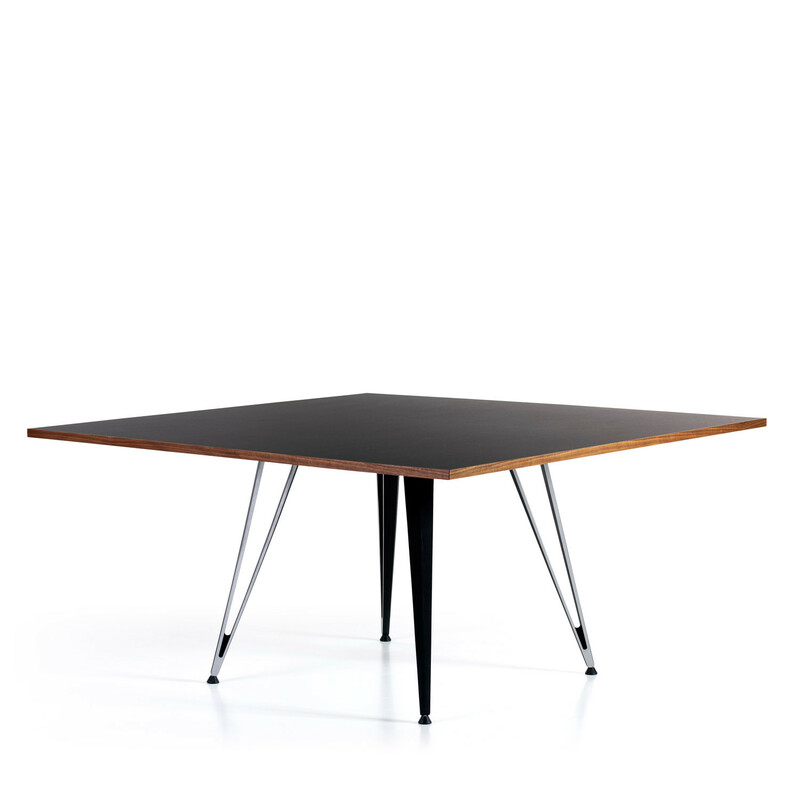 Attach table can be either modern and relaxed or suited to a meeting or conference room wit veneer tops and power and communication ports. 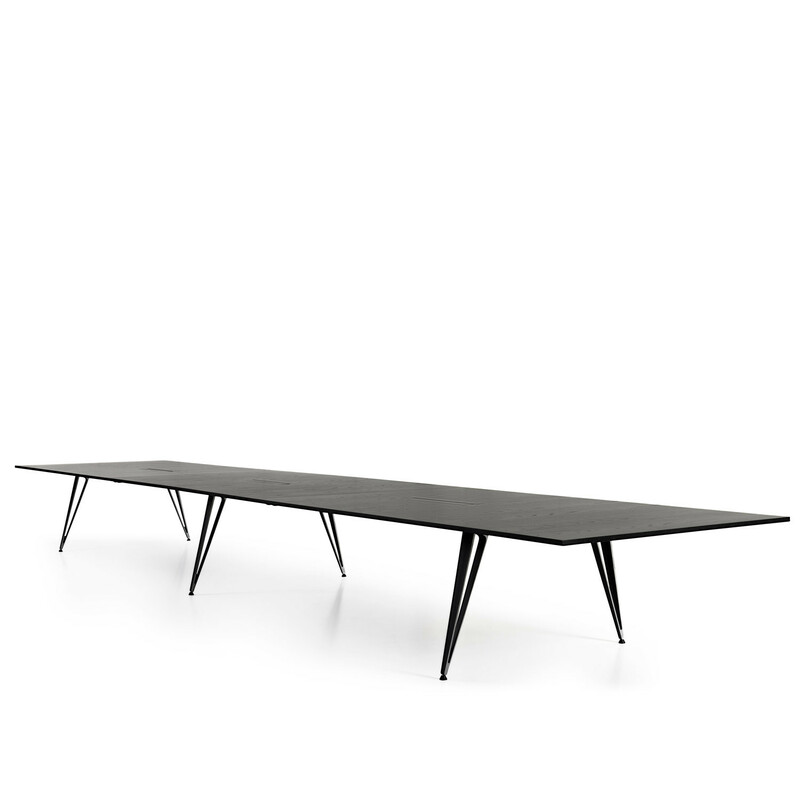 Attach table range offers shapes, sizes and material on request. The most common table formats, such as rectangle, square and circle, can also be supplied in exact sizes to suit customer requirements. To the centimetre. View more furniture from Lammhults Furniture. You are requesting a price for the "Attach Table System"
To create a new project and add "Attach Table System" to it please click the button below. To add "Attach Table System" to an existing project please select below.